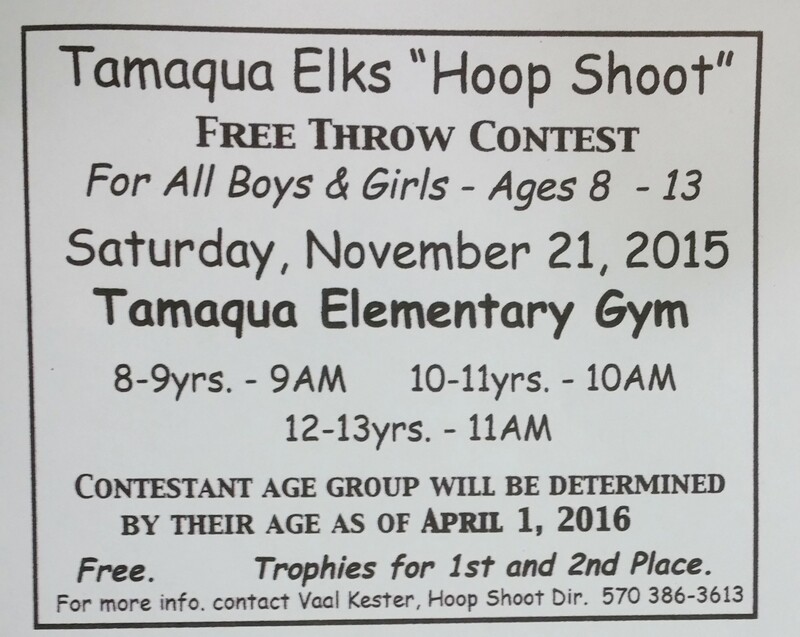 Tamaqua Elks Lodge’s Annual Hoop Shoot is scheduled for this Saturday, November 21, 2015 at the Tamaqua Elementary School gymnasium. The event is free and open to both boys and girls. Contestant age group will be determined by their age as of April 1, 2016. Trophies for first and second place. Ages 8 to 9 years start at 9 AM. Ages 10 to 11 years start at 10 AM. Ages 12 to 13 start at 11 AM. Elks members are always looking for volunteers to help out during the event. Volunteer spots include 2 line judges, 6 scorekeepers, 4 rebounders for the boys & girls in each age group. 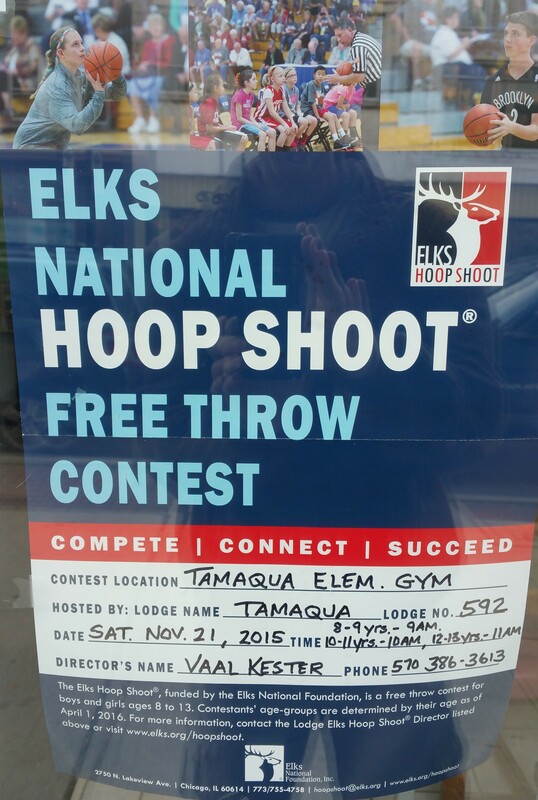 For more information, contact Hoops Shoot director Vaal Kester at (570) 386-3613.